Kevin Harvick, driver of the No. 4 Jimmy John’s Ford Fusion for Stewart-Haas Racing (SHR), heads into the second round of the Monster Energy NASCAR Cup Series playoffs at Richmond (Va.) Raceway with statistics on his side. Five of the past seven champions have been 37 years of age or older when they captured the Cup Series title and, though Harvick’s 39th-place finish last weekend at Las Vegas Motor Speedway wasn’t how he wanted to start his playoff run, his Freaky Fast team is just fueling up for the fight to the finish as the team tries for its second championship in four years. Richmond has been a consistent track for Harvick through his career. In 35 Cup Series starts at the three-quarter-mile oval, Harvick owns three victories, 13 top-five finishes and 10 top-10s. He has an average Richmond finish of 10.3 with 99.2 percent of laps completed. He earned his most recent Busch Pole Award at the track in April 2016. 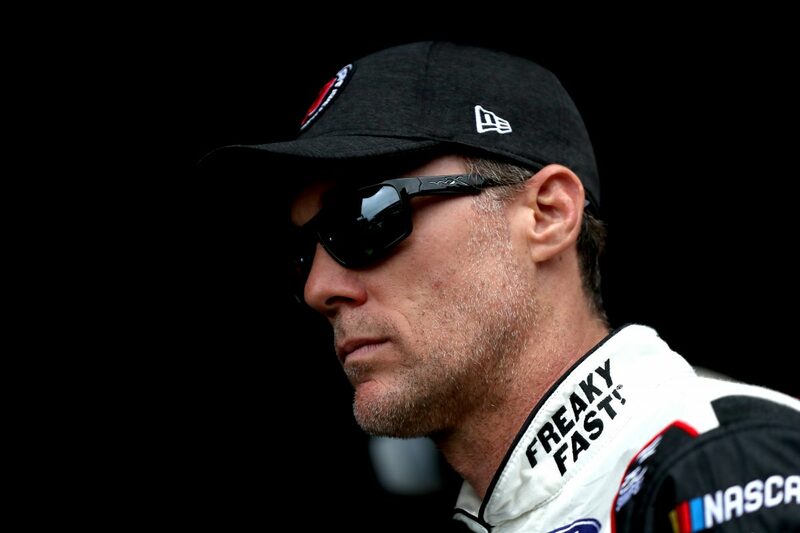 In the past 10 races on tracks 1 mile or less, Harvick has led 255 laps and has completed every lap. He owns two victories – ISM Raceway near Phoenix and Dover (Del.) International Speedway, six top-five finishes and eight top-10s. The Jimmy John’s team has been the freak of the field this year with its success in most every statistical category. It has embodied the essence of the freaks who work for Jimmy John’s and their obsession with making the perfect sandwich for their customers. While being Freaky Fast is nothing new to Jimmy John’s employees or Harvick’s Jimmy John’s crew, they are celebrating the arrival of something new – the new 9-Grain Wheat Sub. It marks the first time Jimmy John’s has added a new bread to its lineup in more than 20 years. The new 9-Grain Wheat Sub features a delicious blend of wheat, rye, flaxseed, quinoa, millet, oats, barley, amaranth and spelt, as well as honey, coconut and molasses. It is available with any Jimmy John’s sandwich at no extra charge. Like the traditional French bread, the new 9-Grain Wheat Sub will be freshly baked in-store every day. It is the latest in a series of products that Jimmy John’s has rolled out this year as a part of the Freak Yeah campaign, including the popular Kickin’ Ranch®, the 16-inch Giant Sandwich and a sliced version of Jimmy John’s World-Famous Pickles, all of which can be applied to the new 9-Grain Wheat Sub. More good news for Harvick and the No. 4 team is that they started the playoffs last weekend with 50 playoffs points. Those will be a huge benefit as the team attempts to advance out of the Round of 16 and into the Round of 12. In fact, the playoff points could be beneficial through each of the first three rounds as long as the team advances. Therefore, Harvick and the No. 4 team have their goals set for this weekend’s race – to earn stage points and get their Freaky Fast Ford back to victory lane at Richmond. Why has Richmond caused so many run-ins over the years, or conflicts between drivers? Will there be more drama this year as it becomes a playoff race? Is it better to race with your emotions in check?